1. Can I really do it myself? Absolutely. We have a 100% success rate of our customers completing their own pools. Even if you don’t feel you are able to do it yourself, that’s ok. By hiring different contractors to do your installation you will still save thousands! 2. Can you recommend installers in my area? No, we are a wholesaler selling to the public. 3. 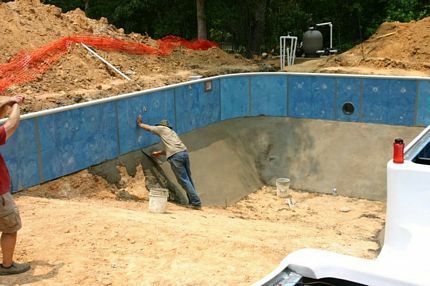 Do you install these pools? 4. 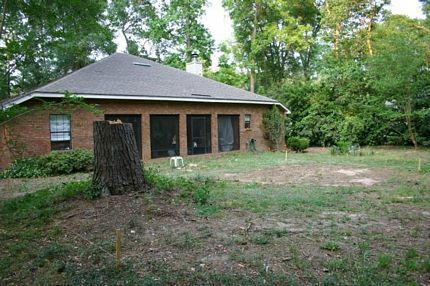 Buying pools off the Internet? Really? Absolutely. In this day of do it yourself projects. 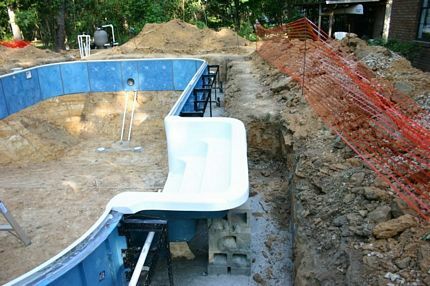 Why not install your pool? It’s not that difficult. We’ll show you how! You cannot go to a Home Depot or Lowe’s and buy a pool kit. Pool Warehouses sell only to pool contractors. The Internet allows us to sell to you at wholesale prices. 5. 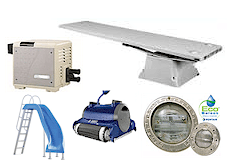 What size pump and filters comes with your pool kit? The pump and filter size is determined by the size of the pool. The pump will run from 3/4 HP to 2 HP. The bigger the pump the bigger the filter. 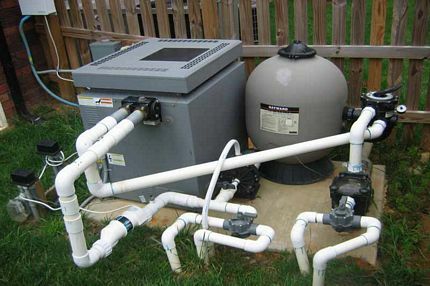 You do not want a pump larger than needed to move your pool water once every 8 hours. When it comes to your pump and filter size, bigger is not always better. 6. How much more can I expect to pay after I receive my pool kit? 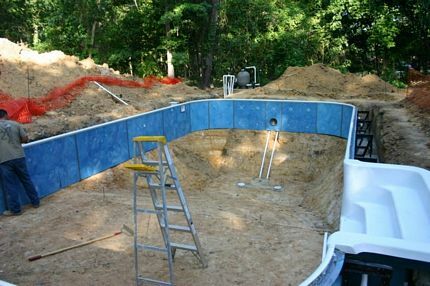 Here again, pool size will determine your final cost. 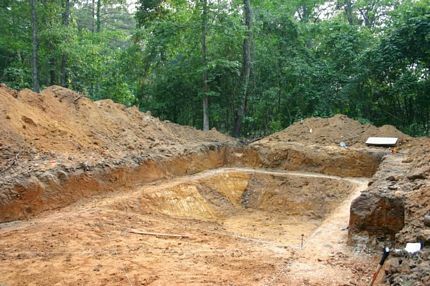 On the average, an 18 x 36 rectangular pool will cost you approximately $3000.00 more for materials and excavation. I.E. 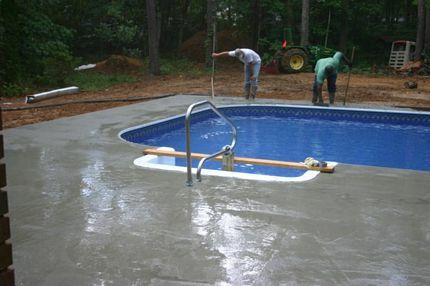 concrete and pool bottom. 7. Are these real pools? Yes. These are the same pools you are probably getting estimates on right now. Except those pools will end up costing you $20,000 to $30,000. 8. What do I back fill with? 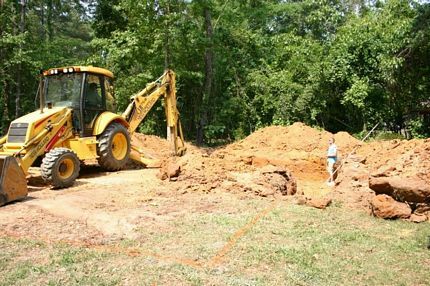 Usually you will back fill with the material you removed during excavation. You should however never use expandable material. 9. 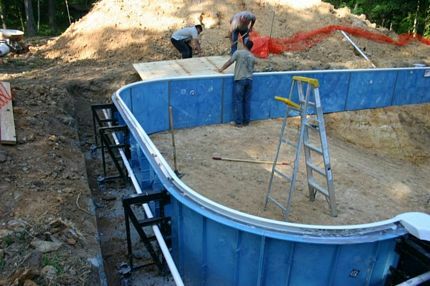 How will the pool arrive? Will everything be delivered at one time? 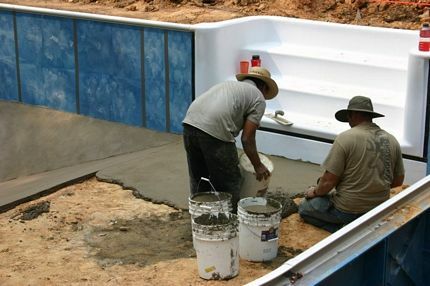 Your pool will be delivered by common carrier on a semi truck. It is your responsibility to count and inspect all packages at the time of its arrival. Should something be missing or damaged you must inform the carrier at time of delivery. 10. What if I do have a damaged or missing piece? We will ship any damaged or missing items out the same day. 11. 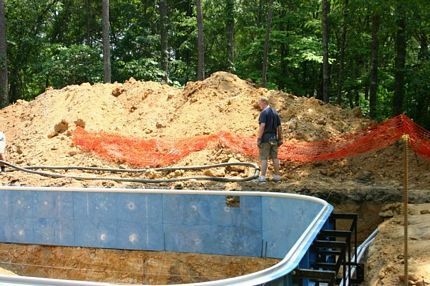 What if I have a question while installing my pool? 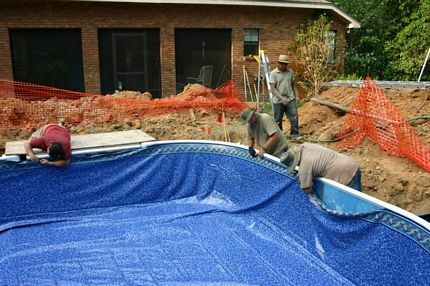 Simple, call us at 1.877.207(POOL) 7665. We are available to help you 7 days a week 8am until 10pm Eastern Standard Time. 12. What if I want something for my pool that I do not see on your web site? We only sell accessories to Polar Pool customers. 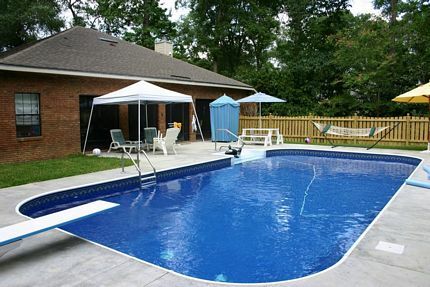 When pricing your pool, call us and we will quote you a price for all you are considering. I.E. Slides, Diving Boards and Heaters. 13. Why is Polymer better than steel? Polymer is made of polystyrene resin. Polymer pool sales have tripled since last year. These pools will not rust and they are stronger than steel. At one time new homes were built with steel windows, now vinyl is the preferred choice of homebuilders. Polymer will not pit, rust, warp and it stays cool. 14. 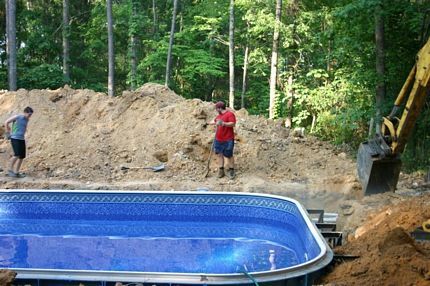 How long before my pool arrives? We generally ship out the same day. 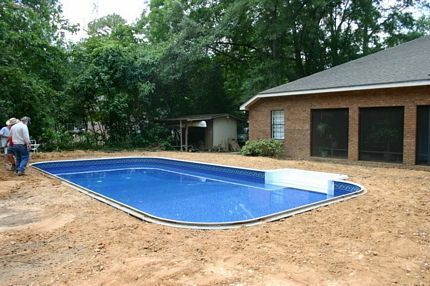 Usually your pool will arrive within 3 days. Sometime it may take up to 5 days for Mountain, Pacific and International orders. 15. 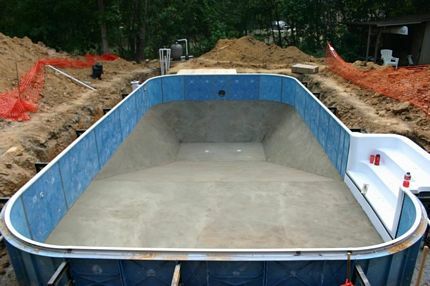 I want a large in-ground pool but don’t want a deep-end. Are there any additional costs for custom making the liners? No. 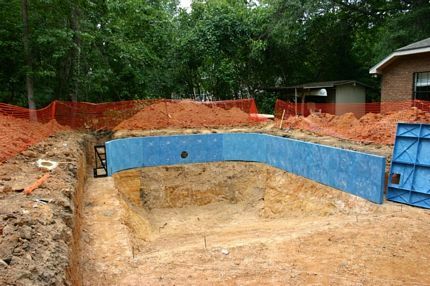 Our prices are the same, regardless of how deep you’ve chosen to have your pool built. 16. Do you have offices throughout the United States? No. 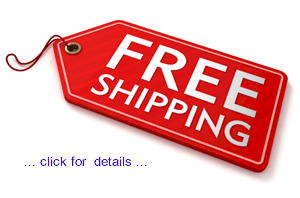 We are wholesalers located in North Carolina; we do however ship all over the world.